After using Virtuix’s Omni omni-directional treadmill at E3, I don’t think playing a game with just a keyboard or a gamepad will ever be as satisfying again. To get started, you stand on a central platform, secured by a harness around your waist that protects you from falling. The platform itself is concave, similar to a satellite dish. This requires you to adjust your gait appropriately, though I managed to feel relatively comfortable walking and running on the device in mere minutes. Even so, the Omni, which is still a prototype, will definitely reveal if you’re out of shape. Utilizing the Omni treadmill requires slightly different muscles than you use in your day-to-day life. Fifteen minutes of use was enough to wear me out considerably during the demo. Running in place on the Omni is just as physically demanding as actual exercise because it is actual exercise. However, I’m now way more excited about owning an Omni for my PC than I am about either of the upcoming consoles Microsoft’s Xbox One or Sony’s PlayStation 4. You have to wear special shoes to use Virtuix’s device, a pair of which is included with the cost of the Omni. The shoes are designed to provide a certain amount of friction as you walk without scraping up the unit, which makes the surface a bit slippery. However, there’s enough traction that you feel as if you’re actually walking, not just sliding on ice. The prototype currently uses Microsoft’s Kinect to track motion, which detects whether you’re walking, running, jumping, or crouching (though only running and walking were activated during the demo). A pair of special shoes comes included with the cost of the Omni. However, Virtuix CEO Jan Goetgeluk says the team is exploring other options for movement detection, such as placing accelerometers in the shoes. If the prospect of getting some real exercise didn’t already convince you to grab your wallet, know this: using the Omni and an Oculus Rift anchors you in the game world more than any standard monitor/gamepad setup ever could. Virtuix demoed the system with the game Half Life 2—hardly cutting-edge these days—but City 17 felt ripe for exploration as I looked around the environment with just a turn of my head and then began running around—in both real life and the game. The complexities of the gamepad disappear. For those who’ve played games for a lifetime, the gamepad is an extension of their arm. However, it’s a barrier for those with a casual interest. The Omni removes the gamepad from consideration. With this type of setup, being good at the game is as simple as mimicking what you would do in real life. Moving around the train depot in the game, I really felt as if I’d entered the Half Life universe. 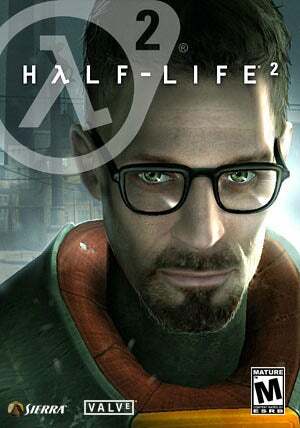 Between the Rift’s stereoscopic 3D effect and the Omni tracking my real-world movements, I wasn’t just watching a screen anymore—I was Gordon Freeman, silent physicist and world savior. Virtuix hosted its demo in a hotel room in Los Angeles, so we can safely say the system works fine in a small space. There were a few hiccups we encountered—one cord (part of a wired accessory, not the Omni itself) kept getting tangled. The Virtuix team is still working hard to perfect certain aspects of the design before shipping the first units to Kickstarter backers in January. The Omni is definitely something to keep your eye on, though, if you haven’t already preordered. 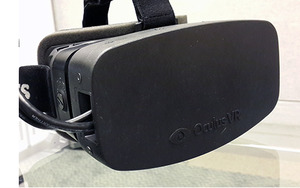 Between the Omni and the Oculus Rift, game designers now have an entirely new and innovative platform to build on—one which could potentially inject life into the industry. For now I’ll have to go back to playing games with a plain ol’ keyboard and mouse. However, for me, this virtual reality gaming future can’t come soon enough. While it’s hard to know whether the project will get widespread industry or consumer support after launch (though they did meet their Kickstarter goal in less than a day), the Omni deserves to be part of gaming’s future. This story, "Hands-on with the Virtuix Omni gaming treadmill" was originally published by TechHive.